These award winning vegan truffles are presented in a beautifully decorated gift box as part of Booja Booja’s “Artist’s Collection”. 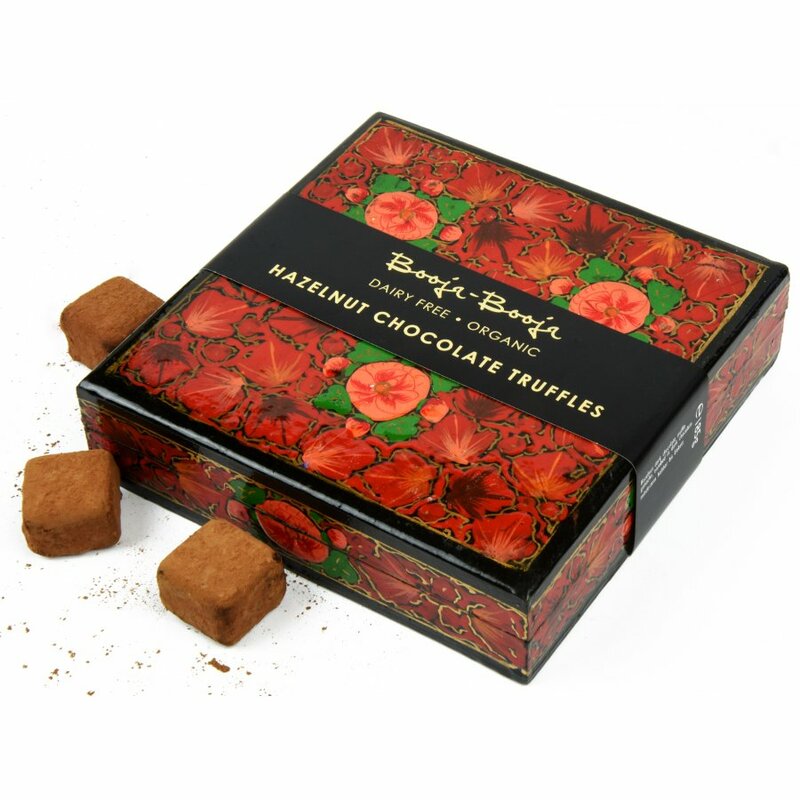 The melt in the mouth organic, gluten free truffles are made with sweet, roasted hazelnuts and the box is hand painted by artisans in Kashmir using traditional techniques. 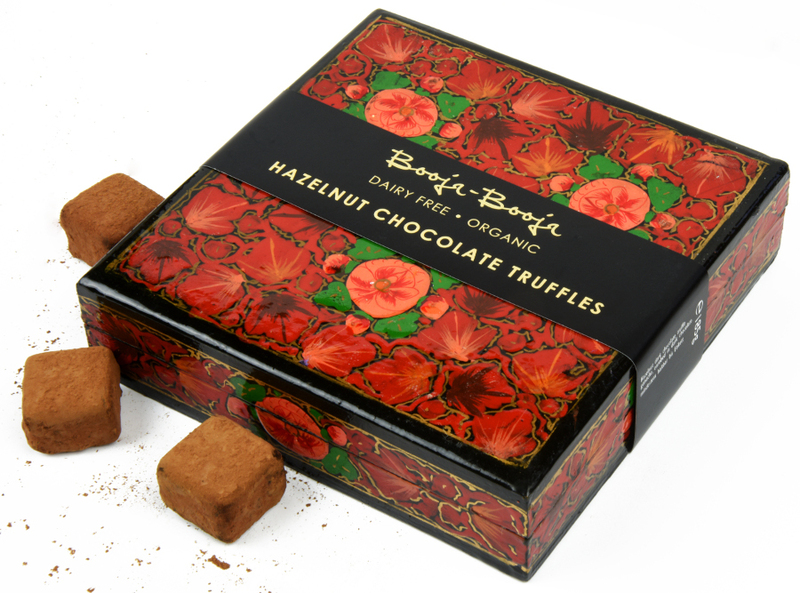 The Booja Booja Hazelnut Chocolate Truffles - 185g product ethics are indicated below. To learn more about these product ethics and to see related products, follow the links below. There are currently no questions to display about Booja Booja Hazelnut Chocolate Truffles - 185g. 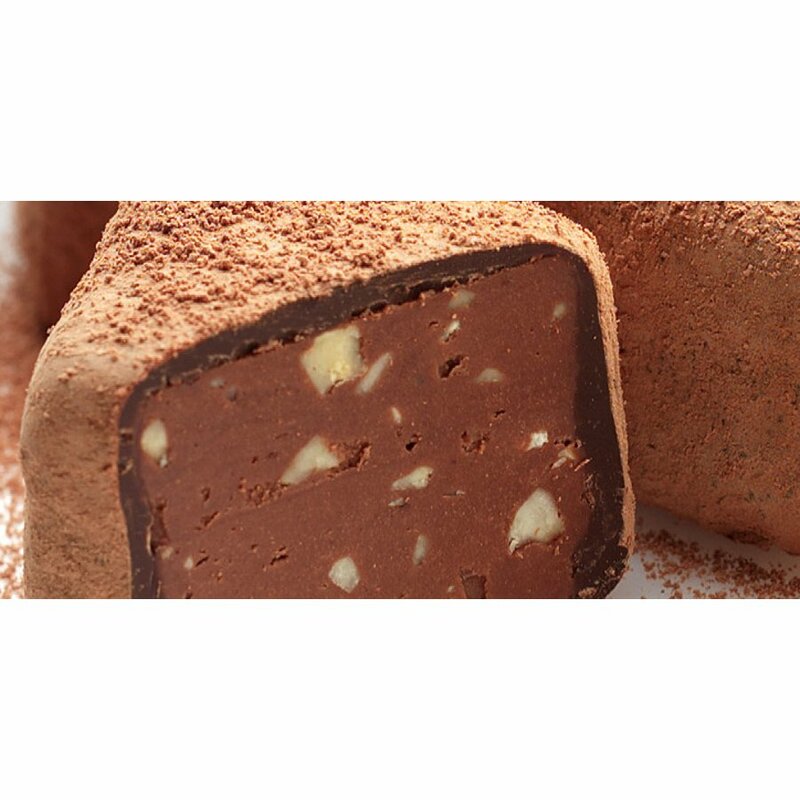 Booja Booja is an independent UK company that manufactures organic chocolate truffles that are dairy-free, wheat and gluten-free and are suitable for vegetarians and vegans! With a refreshingly different mindset to it's competitors, Booja Booja strives to be minimal, renewable and beautiful as a company. Booja Booja already hold a great number of awards, including the Winner of the Organic Foods Awards in 2003, and the 2005 award for best 100% vegetarian box of chocolates from the Vegetarian Society for Gourmet Truffle Selection. As the company say themselves; "Everyone needs a little Booja Booja now and then...!"